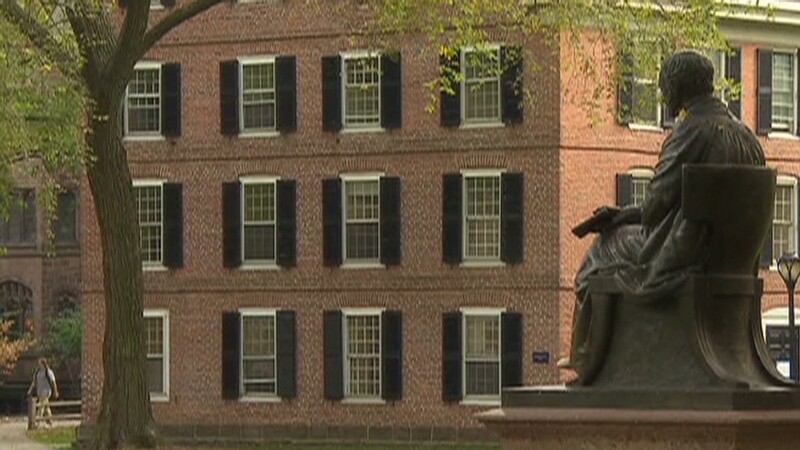 Now that the average college freshman takes more than five and a half years to graduate, a growing number of colleges are trying to entice students with guarantees that they will finish in four years -- or the extra tuition will be free. But most of these four-year guarantees come with fine print that can disqualify many applicants, such as requiring students who sign up for the program freshman year to declare and stick to a major all four years, take inconvenient classes or forgo study abroad. In addition, even the most generous of the guarantees only offer to cover tuition after the fourth year -- students still have to pay for dorm and living costs. To qualify for a guarantee program, students are typically required to complete at least 30 credits each academic year, meet regularly with advisors, and take required courses. In return, the colleges typically promise to help students finish in four years by eliminating roadblocks to graduation, such as reducing overcrowding, lowering the number of credits required to graduate, and creating standard four-year plans that can easily be followed. If school-caused delays prevent a student who signs up for a guarantee from finishing in four years, the college promises to pay for any extra courses they need. Last year, for example, the University at Buffalo launched its "Finish in 4" free-tuition guarantee, and added 30,000 extra seats in bottleneck courses to help ensure students could meet their requirements. The moves attracted hundreds of new applicants, says vice provost Scott Weber. "We had one of our largest freshmen enrollments this fall," he said. But some colleges offering these guarantees aren't making the reforms needed to help students finish on time. "I would be shocked if [these guarantees were] anything more than a marketing strategy" at schools where a majority of the students take longer than four years to graduate, said Tom Sugar, vice president of Complete College America, a nonprofit that works with states to raise graduation rates. 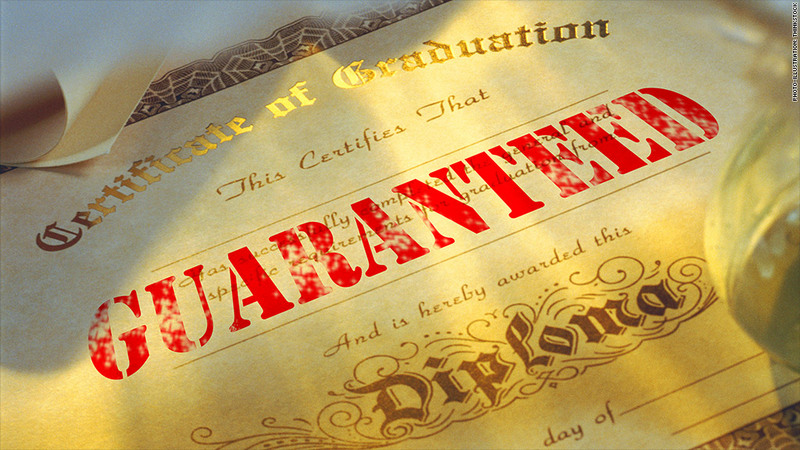 Some colleges are setting requirements so high that they are discouraging or disqualifying students from taking advantage of the guarantees. At the California State University, San Bernardino, where only 13% of freshmen finish in four years, priority enrollment and free tuition after four years is only given to students who have committed to a major and the guarantee program before the start of their freshman year. Officials at the University of Maine at Farmington blamed a low signup rate for its four-year guarantee (only 75 of the school's approximately 480 freshmen signed on last fall) on a contract that was "two-page, dense, and filled with legalese" says associate provost Robert Lively. Last fall, the school drafted a shorter and simpler contract that it is now promoting to applicants. Whether or not four-year graduation guarantees actually help students graduate on time, the promises still sound so attractive to applicants that more than 40 colleges offer some sort of pledge or incentive. Among them are many small private colleges, such as DePauw, Juniata College and Washington & Jefferson, as well as many large universities, such as the University of Minnesota, the University of Nebraska and Pace University in New York. Related: How much will college really cost? Some other colleges, such as Ball State University and Indiana University, offer "incentives" rather than guarantees. Ball State this winter started paying $500 to students who graduate on time. Indiana University last year announced it would freeze tuition for upperclassmen on track to finish in four years. Read the fine print. Every program is different, so make sure you understand what the college requires from you and what it offers in return. Will you be able to complete the number of required credits? Is your schedule flexible enough to enroll in early morning or night courses if those are the only ones available? How soon will you feel ready to commit to a major? What are you getting in return? Avoid crowds. One of the most common causes of delayed graduation is overcrowding in required courses, says Michael Lovenheim, a Cornell economist who has researched the issue. So if you have a choice, avoid colleges where students have to scramble to get into the courses they need. Choose deeds over words. Opt for colleges that are making changes proven to help students graduate on time, whether or not they offer guarantees. Seek out colleges that offer enough classes and set graduation requirements at no more than 120 credit hours, said Complete College America's Sugar. Accept help. Research shows that students are more likely to stay on track when colleges offer "intrusive advising," or advisors who step in at early signs of trouble such as dropped courses, Sugar adds. Check the record. Before choosing a college, check its four-year graduation rate -- and find similar colleges with better records - by entering the name of any college you're considering attending into Collegeresults.org. Focus on the bigger goal. Don't sacrifice your health, grades or important internship opportunities just to finish quickly, advises Dan Black, Americas director of campus recruiting for Ernst & Young. The standard course program for certified public accountants takes five years, for example, but "I don't care how long it takes them," (within reason, anyway) he says of the approximately 9,200 entry-level new graduates he plans to hire this year. Instead, Black gives an edge to students with top grades and internships.